Welcome to the new River Art Group, Inc website. River Art Group has many talented members creating original fine art. As a group we invite you to come visit us. Take a break from the south Texas heat and enjoy our air conditioning while shopping for unique art. Or relax on the front porch of our historical home turned gallery. Meet our creative artists hosting our gallery daily from 10:00 AM until 6:00 PM. 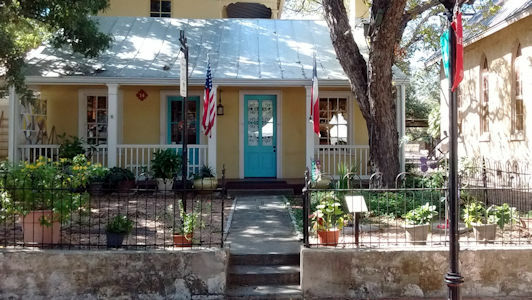 We are located in the heart of San Antonio, next door to the Little Church of La Villita. We are a short distance from the landmark Tower of Americas in Hemisfair Park, where the Hemisfair was held in 1968. Many large hotels, restaurants and of course the famous Riverwalk are all a stone’s throw from our front door. We look forward to meeting you when you visit River Art Group Gallery!